Join us for a First Day Hike at Blue Hill! 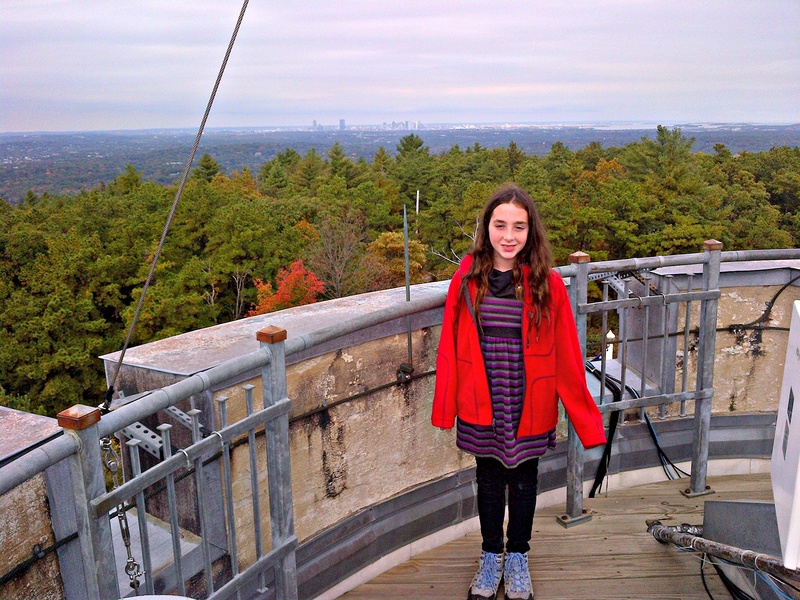 Tough Cookie hanging out at the top of the Blue Hill Observatory. It’s been said that whatever you do on the first day of the year sets the tone for the following 364. So, what better what to kick of 2014 then a First Day Hike at one of our favorite places, Blue Hill Observatory and Science Center. Buffalo and Tough Cookie will help host a First Day Hike up to the observatory where we’ll then offer up a slide show and presentation. If any of you have not yet explored Blue Hills Reservation and/or the observatory at the top of Blue Hill, you are missing out. Just south of Boston, and clocking in at about 7,000 acres, Blue Hills is a too-hidden gem with 125 miles of hiking trails, rock scrambling and even skiing! Janelle and I have gone back a few times and we’re thrilled to be part of their First Day Hike event. Follow the link below for more details on trailheads and direction. But basically, we’ll hike up around 11:30 a.m. on Jan. 1 with our presentation starting at 1 p.m. This is a family friendly hike that anyone can do, but don’t forget that it’s winter so prepare properly! You don’t have to hike, by the way, just make arrangements to drive up and come see our slide show. We have so much already planned for 2014, we can’t wait to get to it. See you in the new year! Good tidings and peace to you all! From Buffalo and Tough Cookie, and both our families, may you all have a Merry Christmas, happy holiday or just a relaxing day off! Your support and well wishes have meant so much to us. We cannot wait to see what adventures the new year brings! As always, spread kindness, stay moving and hike on! What’s on Buffalo and Tough Cookie’s Christmas list? Well, it’s been a very fine December here at Buffalo and Tough Cookie central. There were two marvelous Author Fair Days in Gorham and Conway. Many thanks to Doug from the White Mountain Cafe and Olga from the Conway Public Library for being such wonderful supporters of the local writing scene! There was a great Meet and Greet at Water Street Bookstore in Exeter. Big thanks to Dan for creating that wonderful space and making local authors feel so welcome. And we had two presentations, one sponsored by the Mountain Wanderer and Lincoln Public Library and then a marvelous homecoming at Manchester City Library. Thank you Steve and Carol, and thank you Mary for making Manchester memorable. And the biggest thank you goes out to all our fans and supporters who come out with their own stories and make us feel so welcome. We’re done with events for this year, but have a full slate getting ready for the beginning of the year. And on top of our Buffalo and Tough Cookie presentations, Dan will be giving some additional slide shows and talks on Nepal and Alaska! Stay tuned! Finally, we had a great book give-away contest on GoodReads where over 215 readers signed up to win copies of the book! Thank you! And that’s what’s on Buffalo and Tough Cookie’s Christmas gift list. If you’ve read the book, we would be deeply grateful and thrilled if you could take a moment and rank us on GoodReads. Or even give us a review if you are so inspired. All those rankings and review both on GoodReads and on Amazon are so helpful to us! Thanks in advance! So, we’ll take a short hiatus on this site now, to spend time with family and enjoy the upcoming holiday. We’ll remain active on Facebook, though, so stop by there for updates. And Buffalo and Tough Cookie will be back before the New Year with a look back on 2013 and a look ahead at the amazing things to come. So, Merry Christmas and happy holidays, or at least have a great couple days off. We’ll see you soon! Life on the road: Buffalo and Tough Cookie stopped for lunch at the Littleton Diner over the weekend on the way to an event in Lincoln. Many thanks to our friend Jeff for the yummy grub, and the picture! Our holiday road trip continues tonight at 7 p.m. at the Manchester City Library at 405 Pine Street. And this time, we’re bringing Aaron who will open the show with a violin song! Please stop by for music and tales of adventure! Win a copy of the book just in time for Christmas! Yes, I said Christmas, but hey, it doesn’t matter what you celebrate, or even if you don’t. 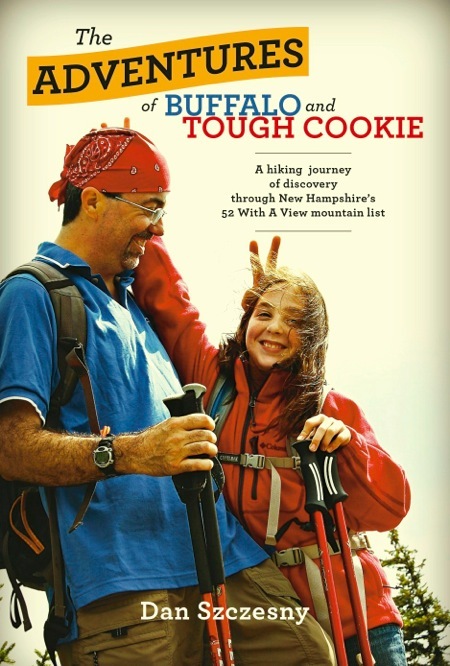 Anybody would love to win a signed copy of The Adventures of Buffalo and Tough Cookie, wouldn’t they? Well, now is your chance. I’m giving away two copies, signed by Buffalo and Tough Cookie through GoodReads. This contest will last for one week, starting today. If you use GoodReads (And why wouldn’t you?) just click below, and sign up to win. If you don’t use GoodReads, give it a look, it’s pretty neat. If you already have a copy of the book, thank you! We love you! Go on over to GoodReads anyway and sign up to win a copy for a friend, or give us a rating. Here’s the contest link: Win a Copy of The Adventures!